Thought of sharing my IPL (Intense Pulsed Light) experience with you. At first I was curious as to how it works. I also learned that famous actors(she/he) used this method to remove the unwanted hairs on their body. We'll they are the best marketing strategy for any businesses. I also have friends who went for treatments as well and heard of good reviews so I was super duper eager to give it a go. I don't want to immediately commit to 1 year IPL session because I've heard that its pretty expensive so I've decided to look for promos on Groupon to get my first taste of the treatment. 1. First, the attendant will ask you to change to a gown they have provided. This way it would be much more easier for them to do their work. 2. Then the attendant will ask you to lie down on the bed. 3. Afterwards they will start to shave off the unwanted hairs on your underarms. 3. And apply the hand held arm of the IPL machine to the surface of your skin. 5. Once it is done. They will clean the area with a wet towel. 6. Apply a cold cream to the area and wait for 30 minutes. 7. Then the attendant will remove the cream and do extra cleaning. The process takes 45 minutes to a maximum of an hour. I actually love the experience. Its not painful compared to tweezing and waxing. When the light hits your skin you can actually feel a tingling sensation and you can smell the hair shafts burning. But don't fret its not like something is on fire plus is not that strong. I tried to look out of curiosity while the hand held arm of the IPL machine is applied on my underarms but the lady warned me not to because it can be blinding. She applied a cold gel on my underarms after the machine is applied. This is to reduce the swelling (don't over imagine, its not that bad) and to close the pores of my skin. After the whole thing is done the feeling is so light and fresh. Aahahah!! It was so good but so expensive. The attendant started to give me calculations of the sessions and the costs. If I could remember it right the cost was around $50 - 60 SGD per session and sessions available for offer are 3, 6 and 12 sessions. To be honest, I actually don't like to spend that much. Its good for those who have deep pockets and for those people that need it for their career. I was discouraged. I did further research on its effectiveness and this is what it says. Contrary to what is often claimed, photoepilation is not a permanent hair removal method but a permanent hair reduction method. 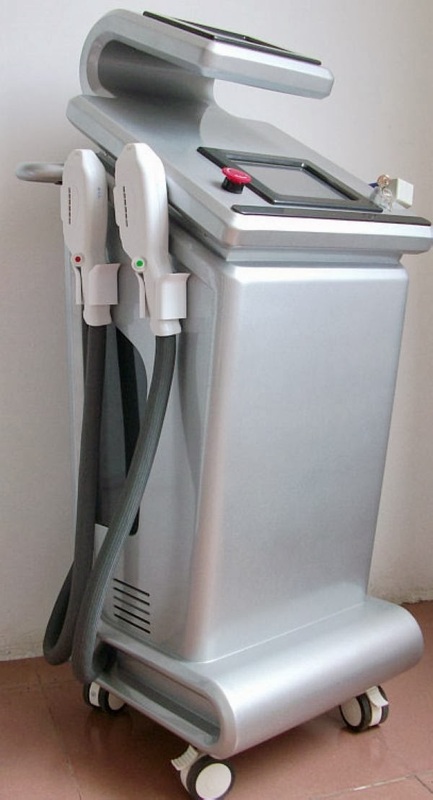 This means that although IPL treatments with these devices will permanently reduce the total number of body hairs, they will not result in a permanent removal of all hair. Whhaatt??? I could imagine all the costs. All in all I have gone to 7 sessions about 2 years ago. The moment I stopped I noticed that the hairs that have grown is not that thick and coarse as before but they still do grow. I guess my hair follicles are very active (its normal when you're still young). Its good but not for frugal fashionistas like me. I don't want to invest in a very expensive hair removal treatment unless I'm a superstar that needs it for my career. You might also like to check out my Phillips Satin Soft Epilator HP6519/01 and Review : Veet Hair Removal Cream. Intense pulse light hair removal is an effective way to remove hair. Even I have gone through several reviews where people were satisfied after getting IPL hair removal treatment.